Polegate, East Sussex. W/T £6,000 Excluding comms. Well established. Excellent reputation. Main road location. 3 bed accommodation. Alcohol licence. Paper rounds. Huge potential to increase T/O. Planning in application for an extension. Freehold. Bus & Prop £565,465+sav. FANTASTIC FREEHOLD COMMERCIAL & RESIDENTIAL PROPERTY - Guide Price £350,000 - £400,000. 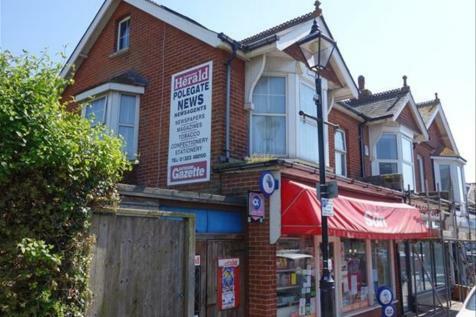 A fantastic opportunity to purchase a successful and very well established Newsagents, located in one of the most prime corner spots on Polegate High Street. Turnover £190,000+ with 3 bedroom flat and garage. Fox & Sons present to the market this parcel of Land, located in the popular Polegate Location, this land is sold without Planning.